Provide comfort for the family of Charles Gindhart with a meaningful gesture of sympathy. Charles T. Gindhart, Jr., 89, of Bellefonte, passed away on Monday, January 28, 2019, at home surrounded by his family. Born in Philadelphia on September 12, 1929, he was the son of the late Charles Gindhart, Sr. and Florence (Kinsella) Gindhart. On July 16, 1955, he married his beloved wife, Mary (Hilpl) Gindhart, who is surviving at home in Bellefonte. Charles was a graduate of Northeast Catholic High School in Philadelphia. After two years in the US Army, he attended photographic school and eventually began a career in the emerging Philadelphia television and film industry. As a film cameraman for WCAU-TV, he worked with nationally-known personalities such as Jack Whitaker, Imogene Coca, Ed McMahon, and John Facenda. Following his time at WCAU he worked in a variety of roles in the film and video industry, culminating in his role as project manager for Johnson Controls Government Systems at Fort Dix, NJ. Charles and Mary were active in the pro-life movement in Philadelphia. In addition to his wife, he is survived by four sons, Paul Gindhart (Naomi) of Huntsville, AL, Stephen Gindhart (Margaret) of Haverford, PA, John Gindhart (Andrea) of Bellefonte, and David Gindhart (Julie) of Port Matilda. Also surviving is one brother, Richard Gindhart of Texas, 15 grandchildren, and 3 great-grandchildren. Along with his parents, he was preceded in death by two sisters, Elizabeth and Jane. Charles was a member of St. John the Evangelist Catholic Church in Bellefonte. A sung Requiem Mass will be held on Saturday, February 2, 2019, at 2:00 PM at the Carmel of Jesus, Mary, and Joseph in Elysburg, PA. There will be a viewing at 1:00 in the church so that family and friends may pay final respects and pray silently. A graveside service will be held on Monday, February 4, 2019, at 11:00 AM at Sts. Peter and Paul Cemetery in Springfield, PA (Delaware County). Arrangements are under the direction of Wetzler Funeral Service, Inc. in Bellefonte. In lieu of flowers, donations may be made to the Pro Life Union of Greater Philadelphia (donorbox.org/prolifeunion). To send flowers in memory of Charles T. Gindhart Jr., please visit our Heartfelt Sympathies Store. There will be a viewing from 1-2pm in the church so that family and friends may pay final respects and pray silently. 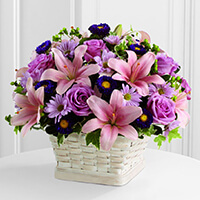 Jocelyn Gnirrep, Harrison Reagan & Lawrence Reagan sent flowers to the family of Charles T. Gindhart Jr..
Jocelyn Gnirrep, Harrison Reagan & Lawrence Reagan purchased the The FTD Loving Sympathy Basket for the family of Charles Gindhart.